Hey guys! How as the long weekend? I hope it was long and fabulous! And I hope you’re as excited as I am for a short week! First up: I have to admit that I’ve had 5 Pumpkin Spice Lattes since Friday. I’m keeping a tally on the whiteboard in my office so I’ll be sure to keep you updated. Second: I am having the worst pumpkin baking luck. I’ve made 3 different things and all 3 failed. Well, to be fair, the first was only a fail because I tried to photograph it in July and it’s so flippin’ hot here that the whipped cream melted literally seconds after I put it on the plate. So I just ate it all instead of blogging about it. The other two were total fails. 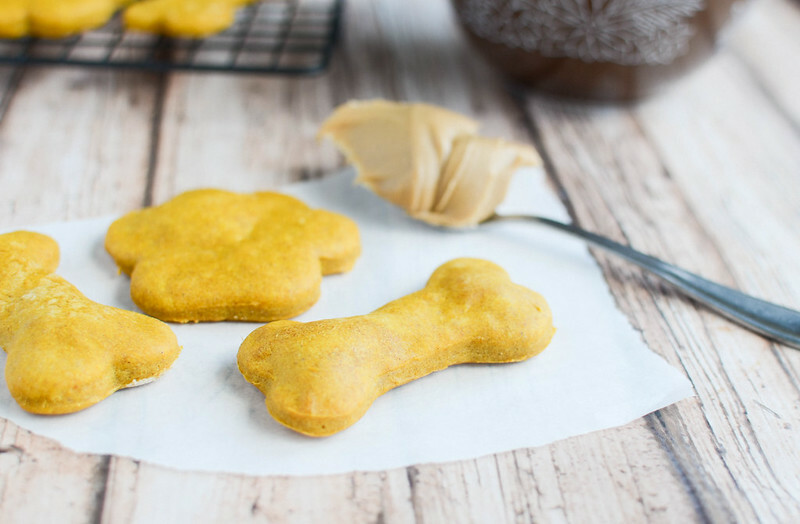 My first successful pumpkin goodie this year is this Pumpkin Peanut Butter Dog Treats recipe. Hey, the pups are just as excited as I am about pumpkin season! I was almost tempted to give these a try because they smelled so good when baking. I mean, pumpkin, peanut butter, cinnamon! What’s not to love? My dogs loved them and I’m sure yours will too! 1/2 cup pumpkin puree NOT pumpkin pie filling! In a large mixing bowl, whisk together pumpkin puree, peanut butter, egg, and cinnamon until smooth. Slowly beat in flour and water, alternating between each, until everything is combined. Turn the dough out onto a well floured surface and roll to about 1/4-inch thick. Cut with desired cookie cutters and transfer to the prepared baking sheet. Bake for 20 minutes. 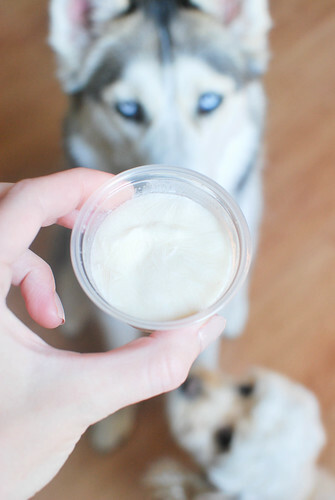 Cool completely before treating your pup! 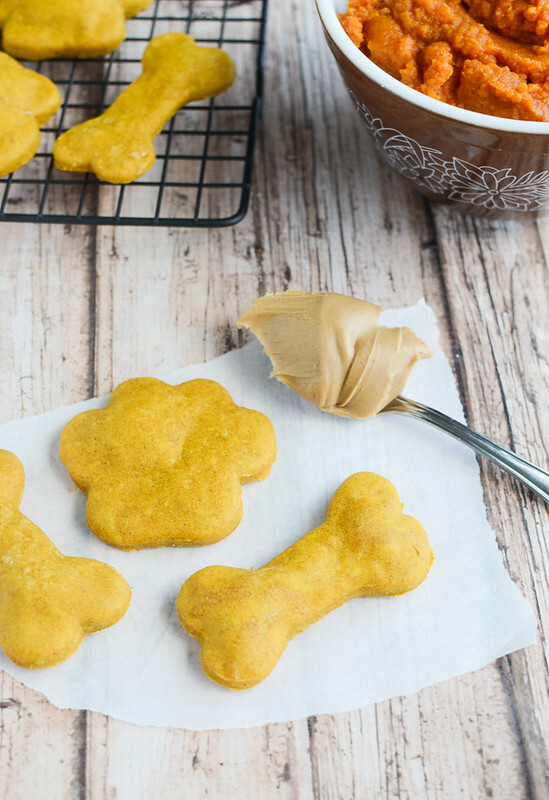 Want more dog treat recipes? 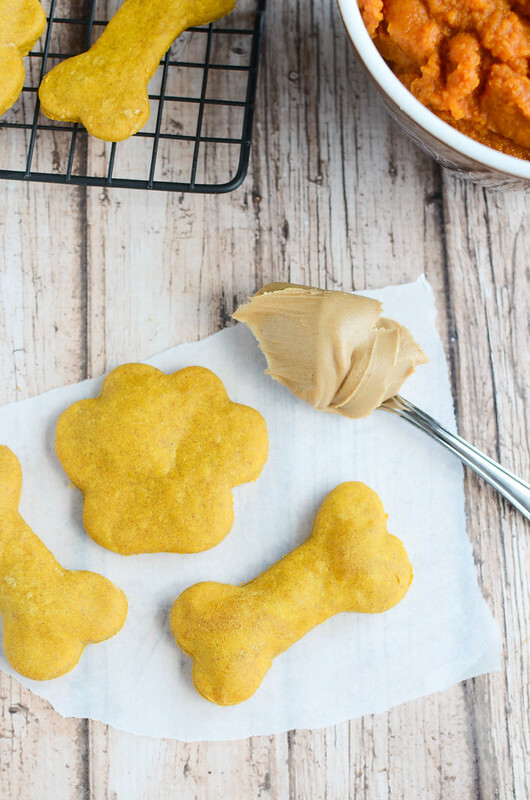 13 Responses to "Pumpkin Peanut Butter Dog Treats"
I want to come back in my next life as one of my late dogs. Or any of your three. I have had MANY baking fails. And some days when my family eats my recipe before I can photograph it! They did it to me the other day! 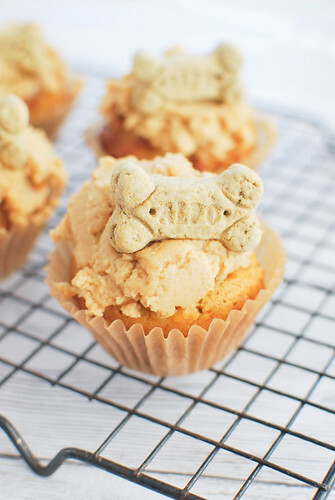 Anyway, I bet my dogs would absolutely love these…I have never made dog treats before. They did all get to eat chicken and rice for a week when one of them was sick…those were happy dogs! 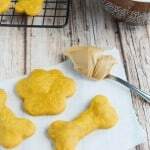 I just made these for my dogs and they loved them. I couldn’t find my dog bone cookie cutter, but they didn’t seem to care! Thank you for an awesome recipe. Just a quick question… The directions say to alternate flour and water, but the amount of water is listed as 1/4 tsp total. Are we really supposed to alternate flour with, like, 2 drops water at a time, or is this an error? I LOVE this idea! But my pup is allergic to wheat. Any idea how his would work with ground oats? I’ve never worked with ground oats so I don’t really know what they’ll do. I’d just add the water slowly to get a good consistency (or add more if you need to) and it should be fine. If your dog is anything like mine, he won’t care! 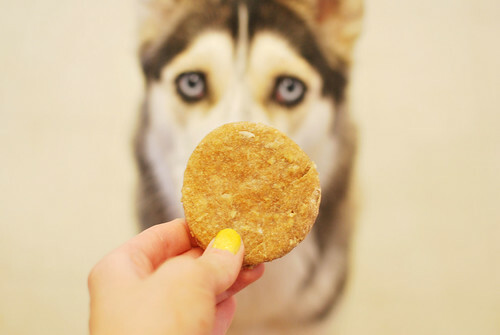 I make other pumpkin dog cookies and that recipe uses brown rice flour. That would be a safe substitute. You could grind up the oats.. Like in a Msgic Bullet to make oat flor and add that to the recipe!! Our dog loved these! She waited beside the oven the entire time they were baking. She gave these four paws up!!! I made these, they’re loved! Any idea how to store them to keep them fresh? Room temperature? Refrigerator? I usually keep them room temp but they only last a few days with all 3 of my dogs. I’d pop them in the fridge if you need them to last longer than that.